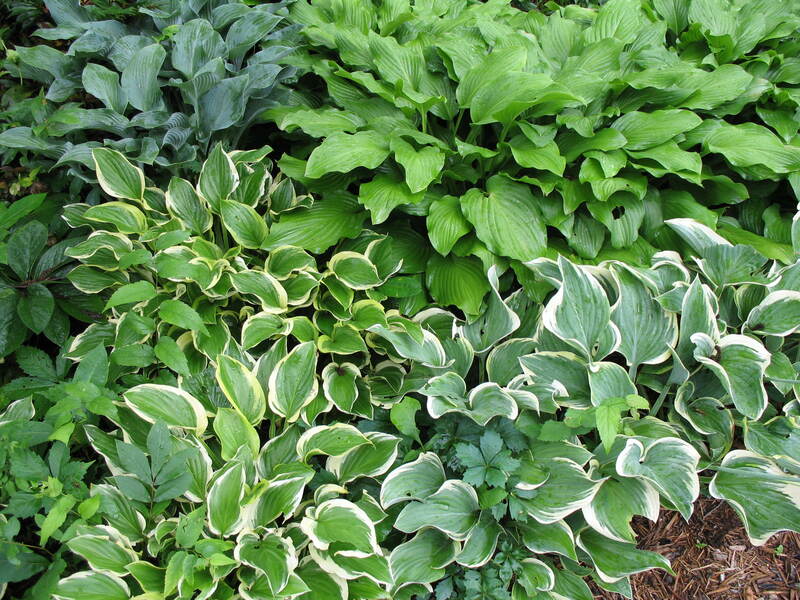 Comments: Hostas come in many leaf sizes, in solid colors or variegated, in various shades of green or blue, Flower colors varying from white to purple. They vary in size from dwarf to large, from fine to coarse texture, and from those that grow slowly to those that have rapid growth. Some will take some sunlight, while others only grow in the shade. There is a hosta for many landscape uses, such as container plant, ground cover, specimen, accent, and mass or group plantings. Slugs are the chief pest of hostas.